I have a confession to make. 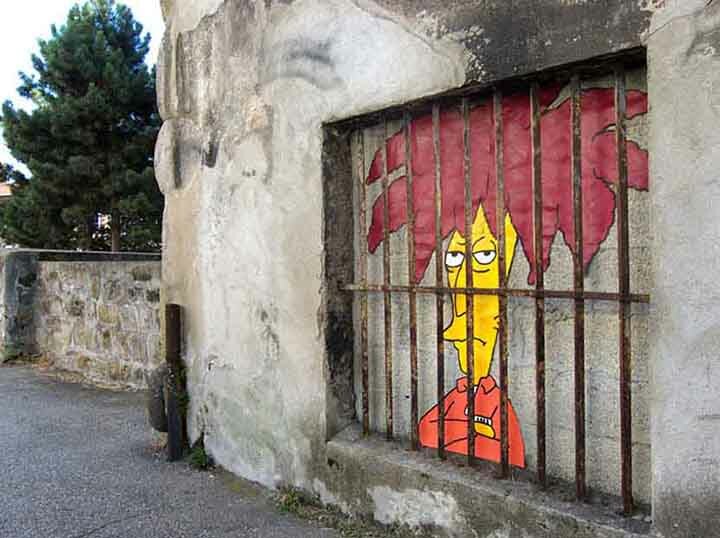 I love street art! 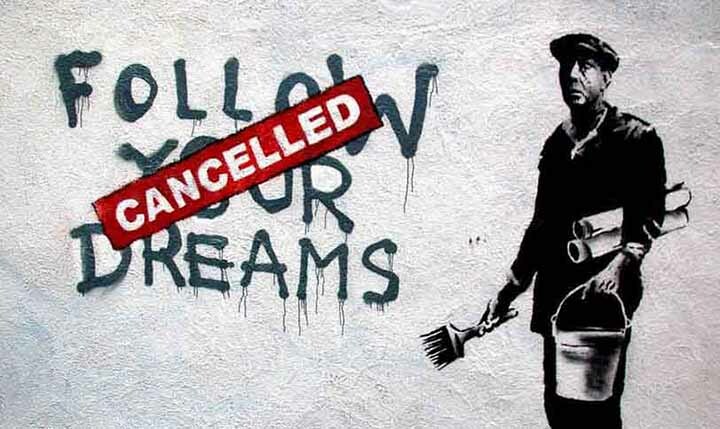 – No, I don’t love any street art. Do anyone love every single drawing or sculpture in a museum? 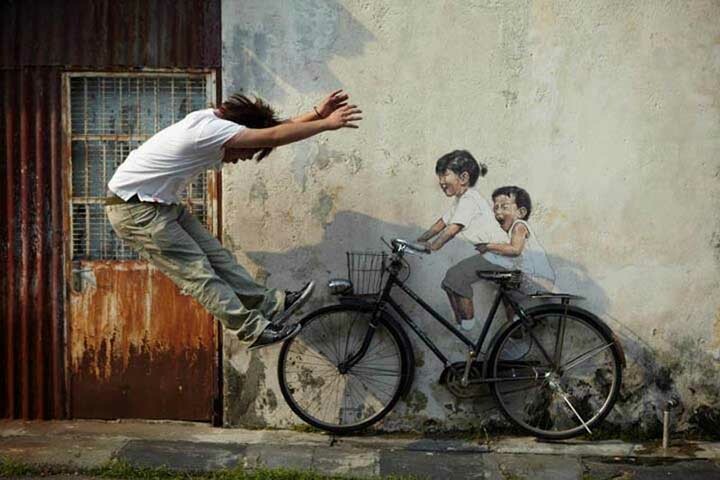 So YES, I love street art! 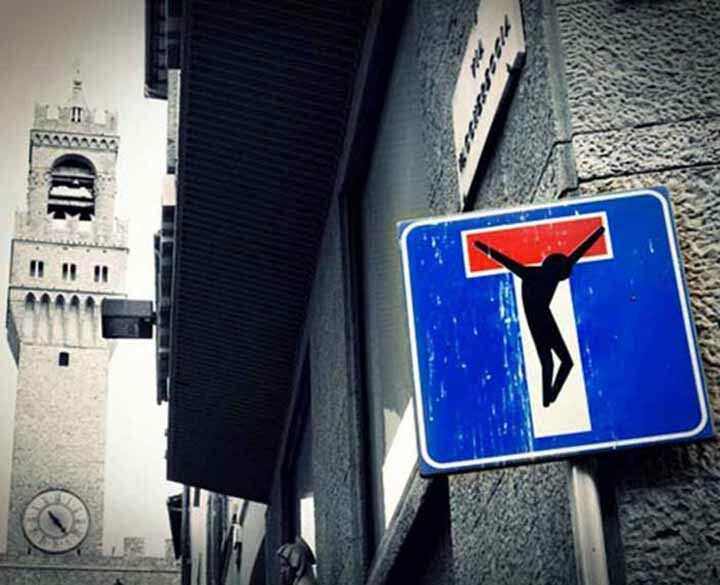 You can’t deny that some places in towns and cities are aweful. So let’s welcome who brings some color! A good example from my country are those dull grey electrical boxes that nobody likes. 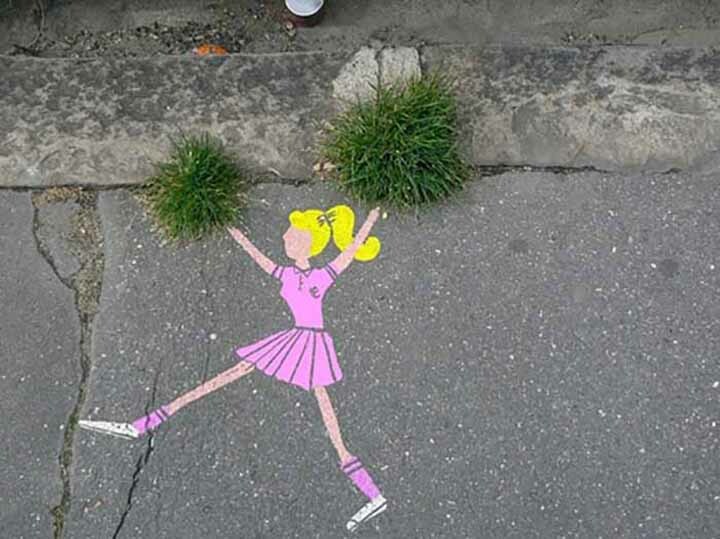 Look at the work of this milanese artist called Pao. It changes a lot, doesn’t it? 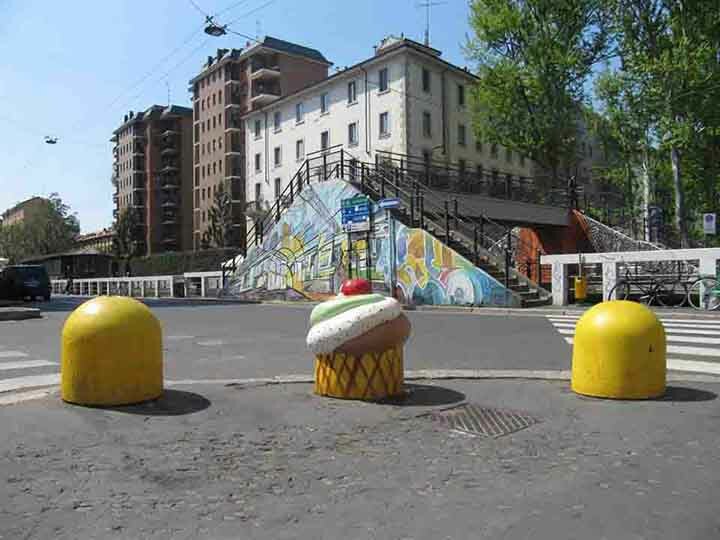 Even Milan municipality had to aknowledge that and in 2015 launched a contest for painting 150 traffic light control unit boxes. 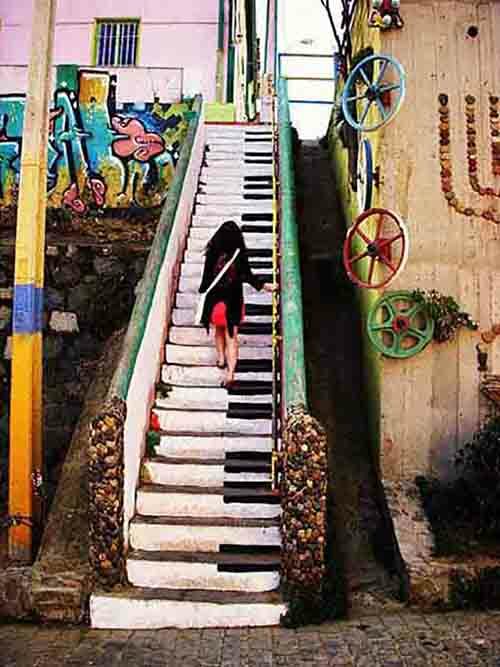 The piano-stairway in Valparaiso is worth alone a visit to Chile! Irony is rarely found in our fast and furious cities. It’s so cool when you turn the corner and something unpredictable gives you a smile. 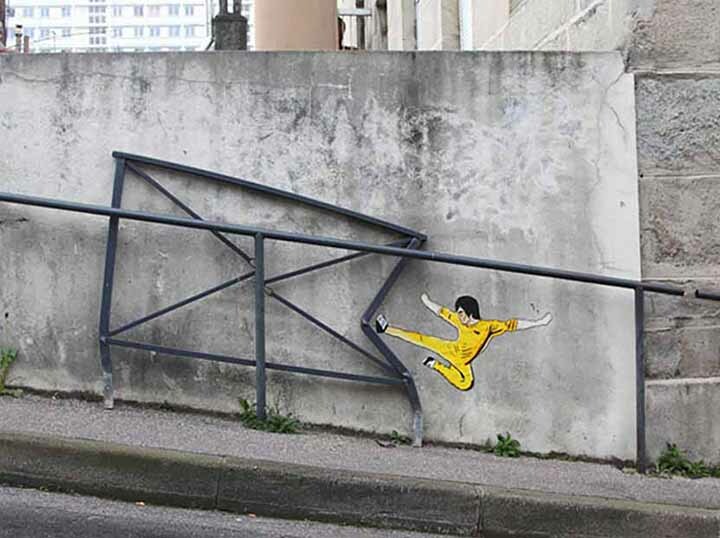 Sometimes it seems that urban landscape is made for street art instead of the other way around. It just pops up in the right place at right time. 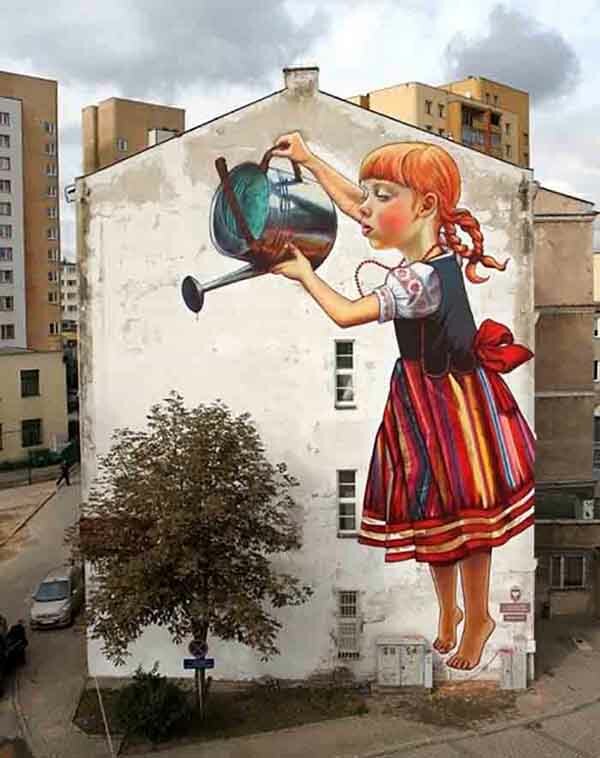 Murals by Natalia Rak and Gabriel Abreu. Just perfect. “Don’t touch”, “pictures not allowed”, “don’t seat here”… Museums rules don’t apply to street art. At the contrary, often it needs your involvment! 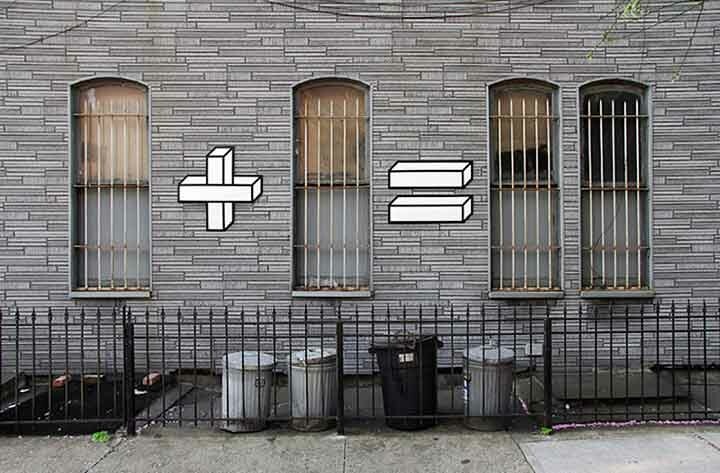 Street art has the power to change perspective and to enhance paradox. Some guys are genious! 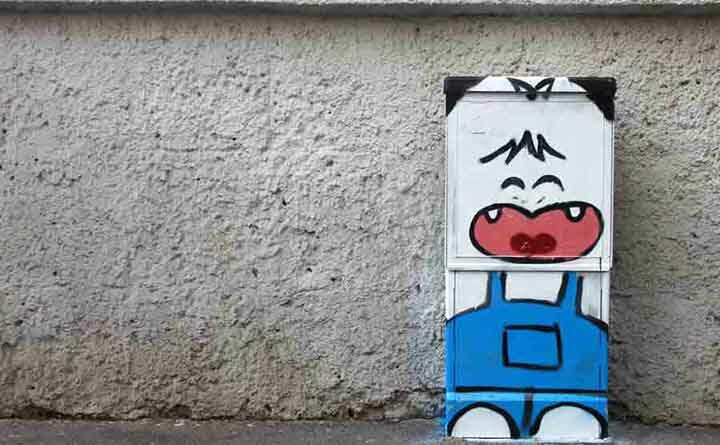 Clet is a French artist living in Italy. 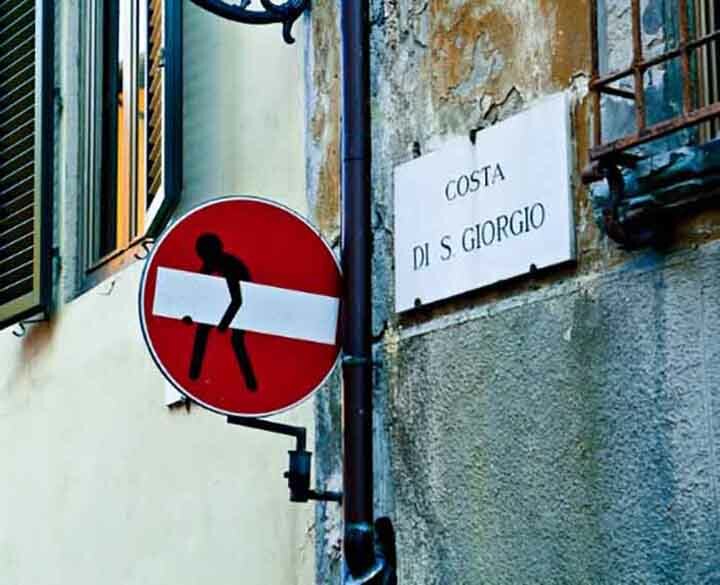 I love his works with street signs. 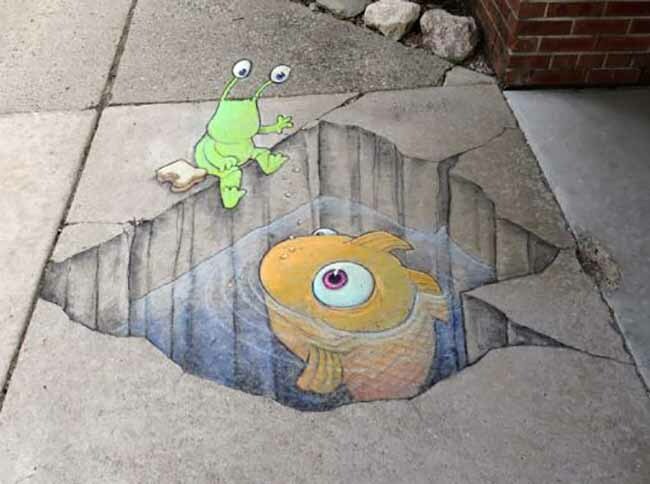 Pavements are full of surprises thanks to David Zinn. Little Sluggo is starring in many adventures on Michigan streets, as long as other characters like Philomena, a flying pig. 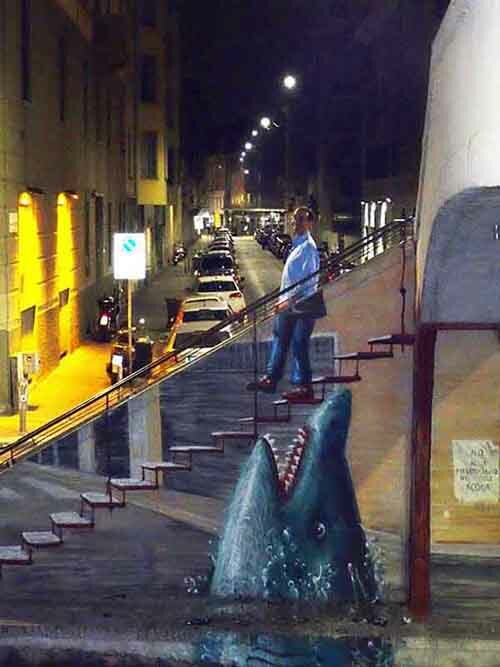 To – literally – transform perspetive nothing can beat 3D art. 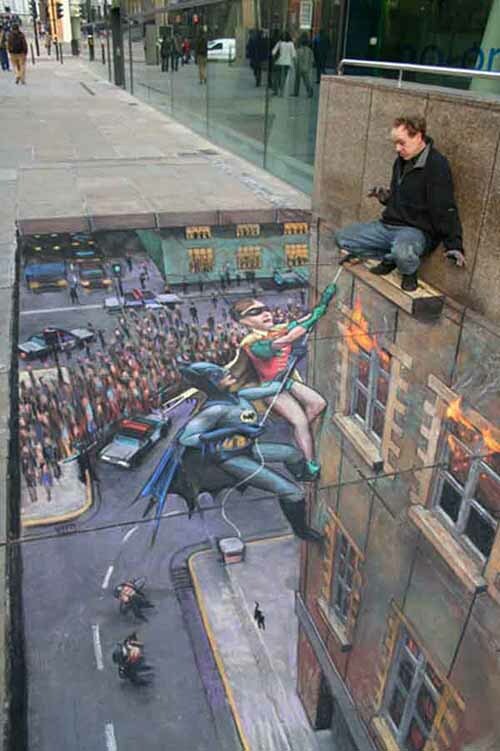 An example by Julian Beever and an amazing video. Graffitis on Berlin wall were the first rebellion to dictatorship. Italian risorgimento patriots were drawing “Viva Verdi” to ask for a free and unite nation. 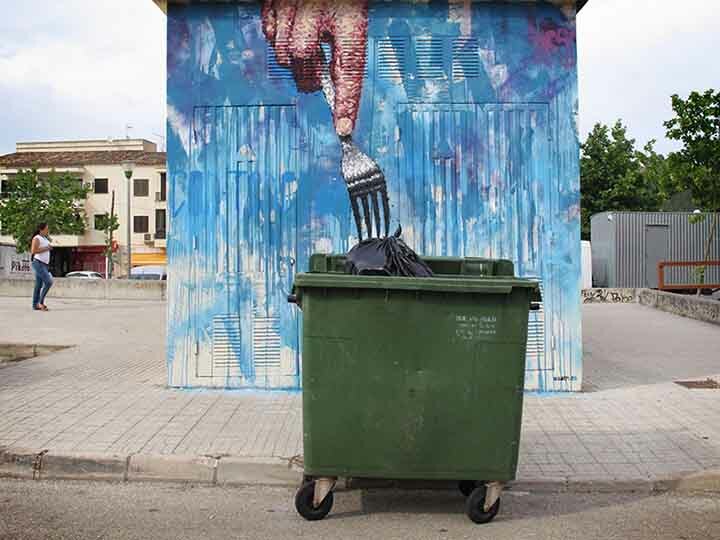 Street art speaks out clear and loud. 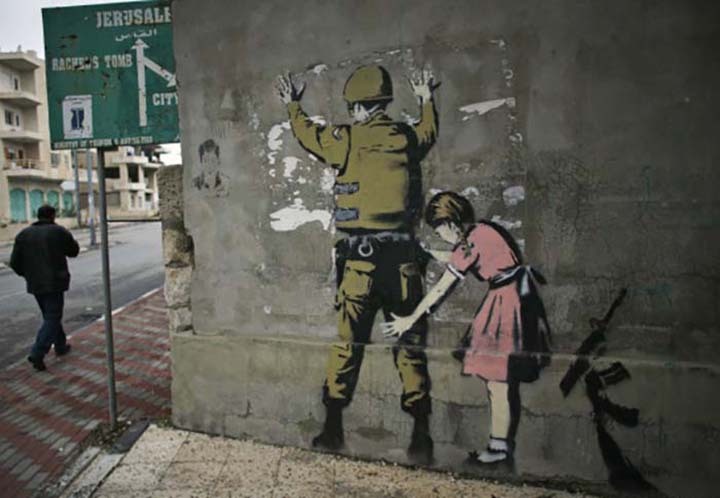 Banksy is probably world’s most famous street artist, he is an activist against occupation of Palestine and strongly criticizes Western society model. 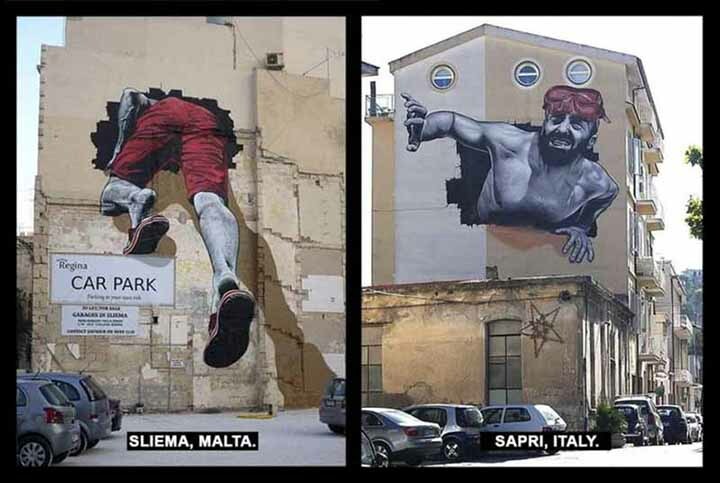 This double mural by MTO is an impactful representation of dramatic migration flows in the Mediterranean sea. 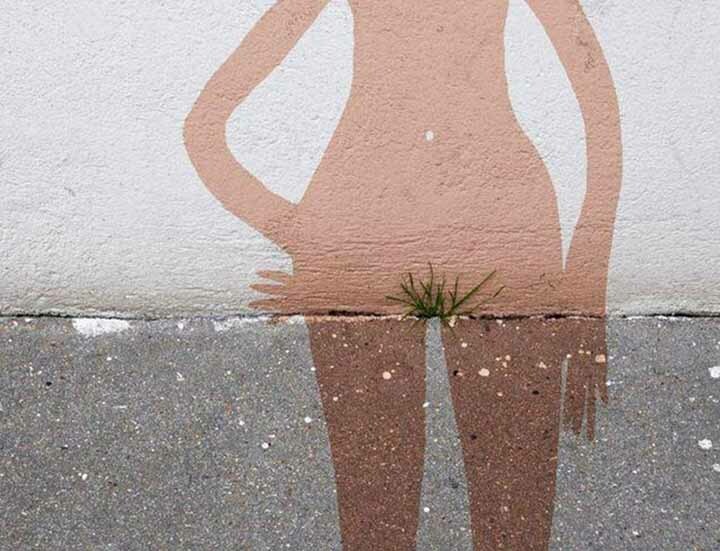 Street art is direct, understandable by anyone. This makes it very close to people, often being… just around the corner. 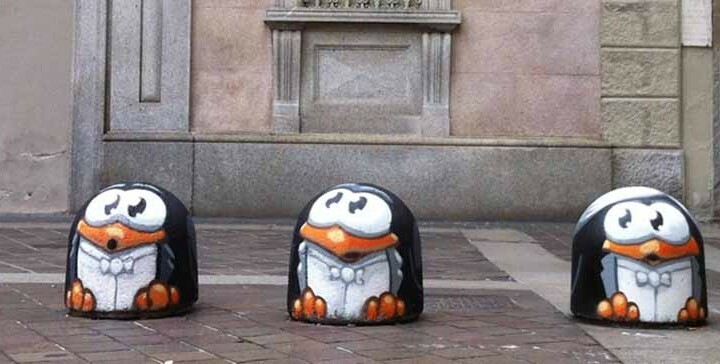 Prejudice says the street artist is a vandal, someone not respecting private property. Are you sure? 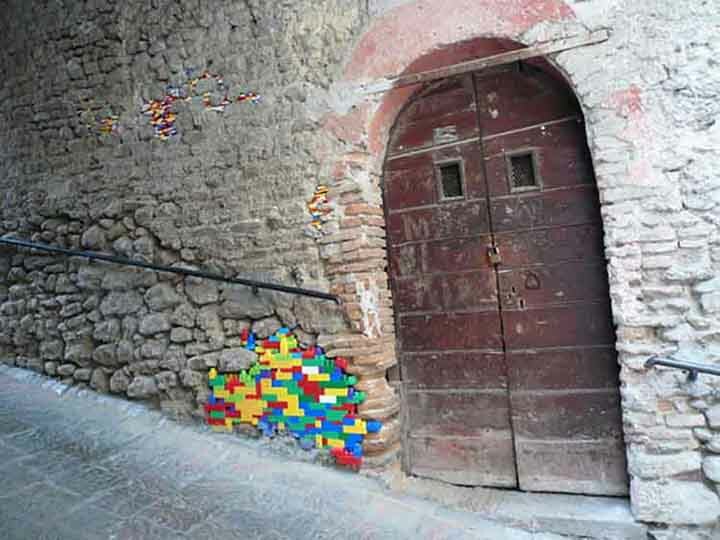 Houses restored with lego bricks. 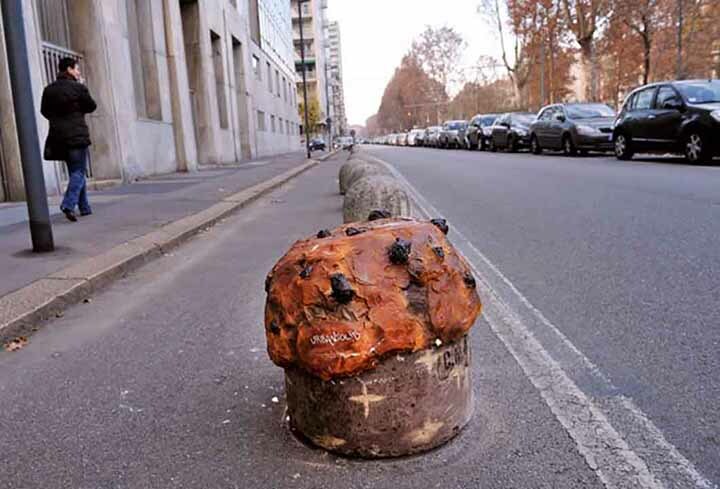 A project started in Bocchignano, a small village around Rome, which spread around the globe. 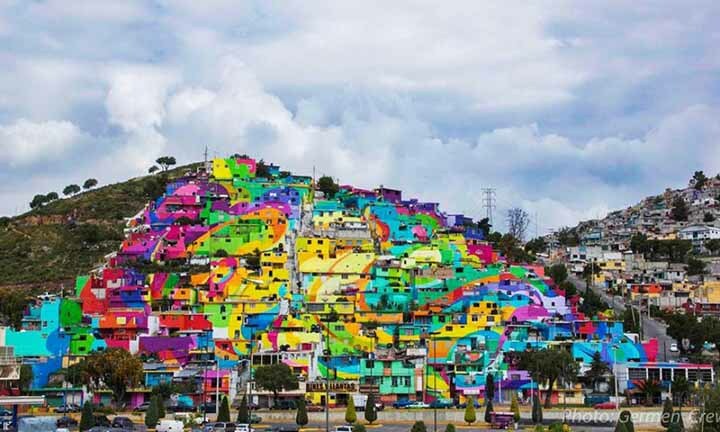 In the Mexican city of Pachuca, in order to fight violence and decay, a youth organisation called Germen Crew involved young loclas in filling with color the whole neighborhood. Here’s the result. 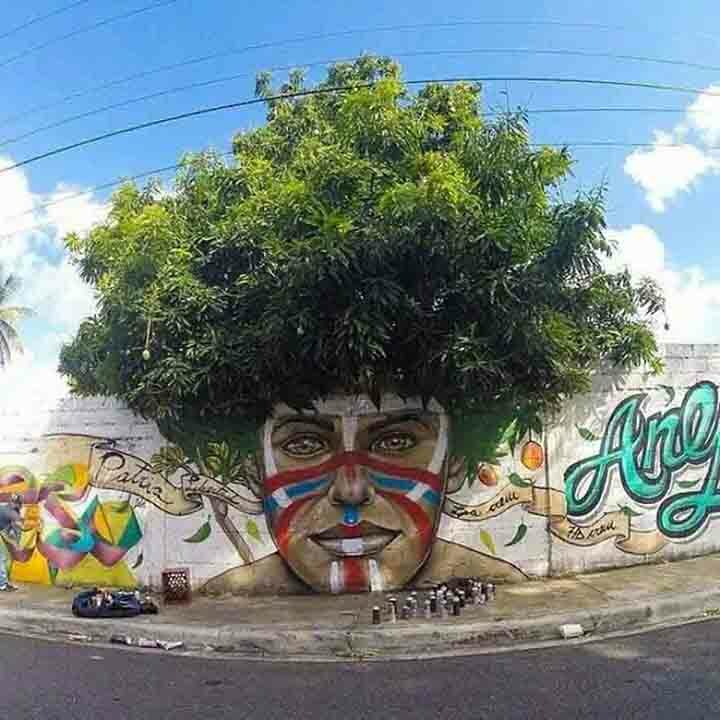 Some masterpieces have to be seen in real, wherever they are. And can you say no to the pleasure of discovery? 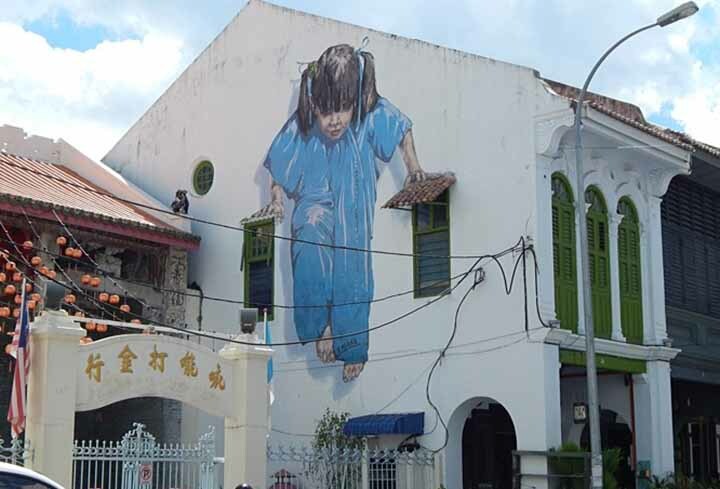 Where is this mural? Soon I’ll go to look for it… follow me on my blog. => UPDATE 30-01-2016: I got there, see here for knowing where! So, did I convince you? 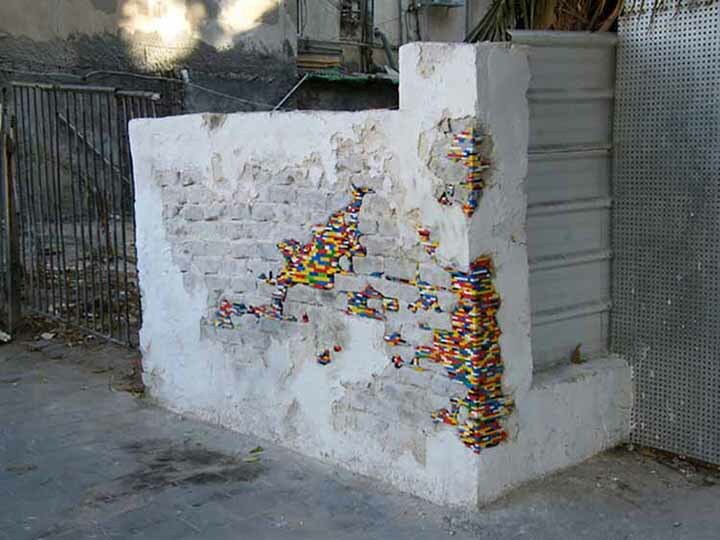 Have you other reasons to love street art? 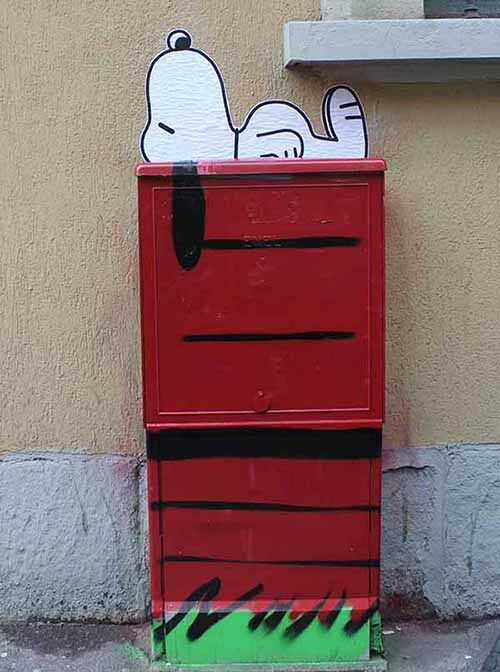 Posted in Inspiration and tagged street art. Totally agree Sissel! 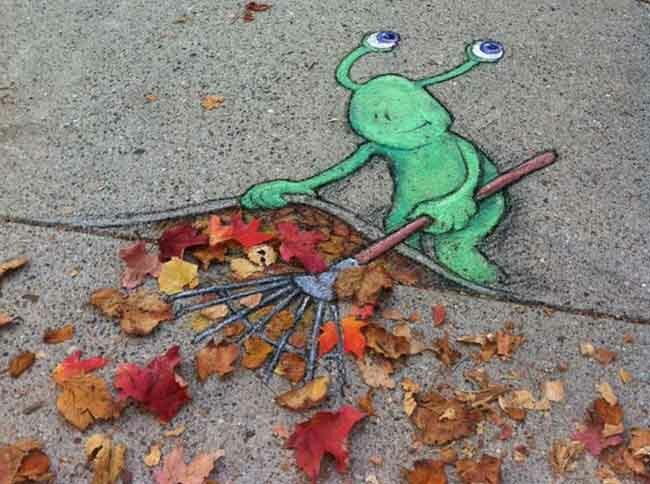 We need new eyes to look at our cities, then colour them and enjoy!